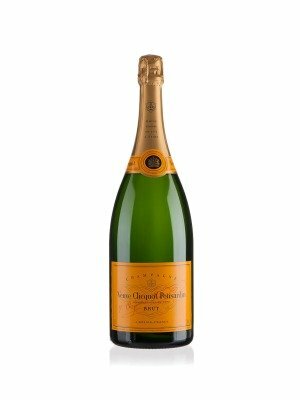 Veuve Clicquot Brut NV Champagne is a popular Champagne available from TheDrinkShop in 1.5lt to buy online. Visit TheDrinkShop for the best price for 1.5lt of Veuve Clicquot Brut NV Champagne or compare prices on our other Champagne products. A Champagne House is eventually judged on the quality of its Brut Non Vintage. It is in the making of such a wine that the true Art of Champagne blending reveals itself. This is an art in which the House of Veuve Clicquot excels. Our Brut Yellow Label reflects the superb vineyards we own and the consistent nature of our House style. The predominance of Pinot Noir provides the structure that is so typically Clicquot, while a touch of Pinot Meunier rounds out the blend. Chardonnay adds the elegance and finesse essential in a perfectly balanced wine. Grapes from as many as 50 to 60 different Crus go to the blending of Yellow Label. Traditionally, the proportion of each grape variety used is : 50 to 55% Pinot Noir - 15 to 20% Pinot Meunier - 28 to 33% Chardonnay. These figures vary slightly from year to year according to conditions. The Chef de Caves has to achieve the total consistency of taste, which makes Yellow Label so immediately recognisable, so utterly reliable both in terms of quality, colour and bouquet. He will draw on priceless Reserve wines for the blend: from 25 to 35%, sometimes as much as 40% to ensure the continuity of the House style. Each of these older wines - perhaps 9 years old - is kept separately to preserve the unique qualities of the vineyard and the vintage. First, Yellow Label looks beautiful: golden-yellow, with a foaming necklace of tiny bubbles. Next it is so pleasing to the nose: initially reminiscent of white fruits and raisins, then of vanilla and later of brioche. Note the fine balance between the fruity aromas coming from the grape varieties and the toasty aromas following the ageing in the bottle. The first sip delivers all the freshness and forcefulness so typical of Yellow Label with a symphony of fruit tastes following on. 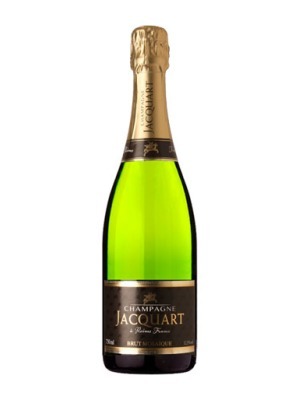 Here is a true member of the powerful Brut family, well structured, admirably vinous. The lingering aromas echo and re-echo, with each fruit or spice note distinct. Veuve Clicquot Yellow Label manages to reconcile two opposing factors - forcefulness and finesse - and to hold them in perfect balance. 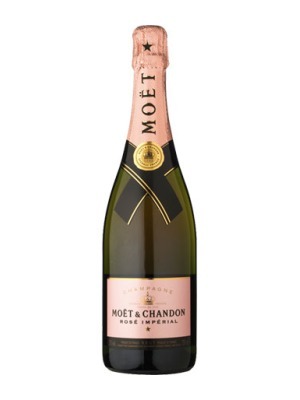 This consistent power to please makes it ideal as an aperitif, and perfect as the Champagne to enjoy with a meal. Where to buy Veuve Clicquot Brut NV Champagne ? Veuve Clicquot Brut NV Champagne Supermarkets & Stockists. You can buy Veuve Clicquot Brut NV Champagne online in most retailers and find it in the Champagne aisle in supermarkets but we found the best deals online for Veuve Clicquot Brut NV Champagne in TheDrinkShop, DrinkSupermarket.com, 31dover.com, and others. 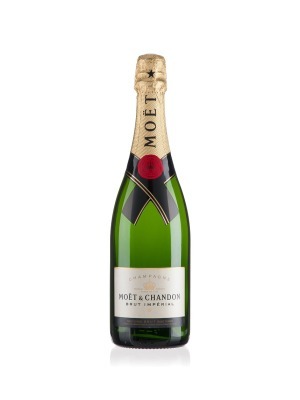 Compare the current price of Veuve Clicquot Brut NV Champagne in 1.5lt size in the table of offers below. Simply click on the button to order Veuve Clicquot Brut NV Champagne online now.